The Editors’ Network of the European Society of Cardiology provides a dynamic forum for editorial discussions and endorses the recommendations of the International Committee of Medical Journal Editors (ICMJE) to improve the scientific quality of biomedical journals. Authorship confers credit and important academic rewards. Recently, however, the ICMJE emphasized that authorship also requires responsibility and accountability. These issues are now covered by the new (fourth) criterion for authorship. Authors should agree to be accountable and ensure that questions regarding the accuracy and integrity of the entire work will be appropriately addressed. This review discusses the implications of this paradigm shift on authorship requirements with the aim of increasing awareness on good scientific and editorial practices. 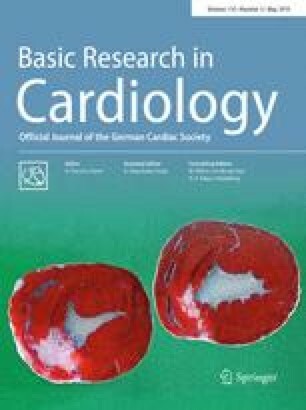 This is a joint simultaneous publication initiative involving all interested National and Affiliated Cardiovascular Journals of the European Society of Cardiology (ESC). The authors publish this statement on behalf of the Editors’ Network, European Society of Cardiology (ESC) Task Force. Fernando Alfonso, Chairman Editors’ Network; Parounak Zelveian, Editor in Chief Scientific Medical Journal; Jean-Jacques Monsuez, Editor in Chief Archives des maladies du cœur et des vaisseaux-Pratique; Michael Ascherman, Editor in Chief Cor et Vasa; Michael Böhm, Editor in Chief Clinical Research in Cardiology; Alfonso Buendia Hernandez, Editor in Chief Archivos de Cardiologia de Mexico; Tzung-Dau Wan, Editor in Chief Acta Cardiologica Sinica; Ariel Cohen, Editor in Chief Archives of Cardiovascular Diseases; Sebija Izetbegovic, Editor in Chief Medicinski Zurnal; Anton Doubell, Editor in Chief SA Heart; Dario Echeverri, Editor in Chief Revista Colombiana de Cardiologia; Nuray Enç, Editor in Chief Kardiyovaskuler Hemsirelik Dergisi; Ignacio Ferreira-González, Editor in Chief Revista Española de Cardiología; Anetta Undas, Editor in Chief Kardiologia Polska; Ulrike Fortmüller, Editor in Chief Cardio News; Plamen Gatzov, Editor in Chief Bulgarian Journal of Cardiology; Carmen Ginghina, Editor in Chief Romanian Journal of Cardiology; Lino Goncalves, Editor in Chief Revista Portuguesa de Cardiologia; Faouzi Addad, Editor in Chief Revue Tunisienne de Cardiologie; Mahmoud Hassanein, Editor in Chief The Egyptian Heart Journal; Gerd Heusch, Editor in Chief Basic Research in Cardiology; Kurt Huber, Editor in Chief Austrian Journal of Cardiology; Robert Hatala, Editor in Chief Cardiology Letters; Mario Ivanusa, Editor in Chief Cardiologia Croatica; Chu-Pak Lau, Editor in Chief Journal of the Hong Kong College of Cardiology; Germanas Marinskis, Editor in Chief Seminars in Cardiovascular Medicine; Livio Dei Cas, Editor in Chief Journal of Cardiovascular Medicine; Carlos Eduardo Rochitte, Editor in Chief Arquivos Brasileiros de Cardiologia; Kjell Nikus, Editor in Chief Sydänääni (Heart Beat); Eckart Fleck, Editor in Chief Der Kardiologe; Luc Pierard, Editor in Chief Acta Cardiologica; Slobodan Obradović, Editor in Chief Heart and Blood Vessels; María del Pilar Aguilar Passano, Editor in Chief Revista Uruguaya de Cardiologia; Yangsoo Jang, Editor in Chief Korean Circulation Journal; Olaf Rødevand, Editor in Chief Hjerteforum; Mikael Sander, Editor in Chief Cardiologisk Forum; Evgeny Shlyakhto, Editor in Chief Russian Journal of Cardiology; Çetin Erol, Editor in Chief Anatolian Journal of Cardiology; Dimitris Tousoulis, Editor in Chief Hellenic Journal of Cardiology; Dilek Ural, Editor in Chief Archives of the Turkish Society of Cardiology; Jan J. Piek, Editor in Chief Netherlands Heart Journal; Albert Varga, Editor in Chief Cardiologia Hungarica; Andreas J. Flammer /François Mach, Editor in Chief Cardiovascular Medicine; Alban Dibra, Editor in Chief Revista Shqiptare e Kardiologjisë; Faiq Guliyev, Editor in Chief Azerbaijan Journal of Cardiology; Alexander Mrochek, Editor in Chief Cardiology in Belarus; Mamanti Rogava, Editor in Chief Cardiology and Internal Medicine (Georgian International Society of Cardiomyopathy); Ismael Guzman Melgar, Editor in Chief Revista Guatemalteca de cardiologia; Giuseppe Di Pasquale, Editor in Chief Giornale Italiano di Cardiologia; Kanat Kabdrakhmanov, Editor in Chief Journal Terapevticheskiy vestnic; Laila Haddour, Editor in Chief Revue Marocaine de Cardiologie; Zlatko Fras, Editor in Chief Slovenska kardiologija; Claes Held, Editor in Chief Svensk Kardiologi; Valentyn Shumakov, Editor in Chief Ukrainian Journal of Cardiology. We are grateful for the support and assistance of Michael Alexander and Margot Bolard, from the ESC Publications Department, at the European Heart House. None of the Editor authors of this paper have any potential conflict of interest that needs to be disclosed in relation to this manuscript.